Oh Sweet! Valentine’s Day is almost here. 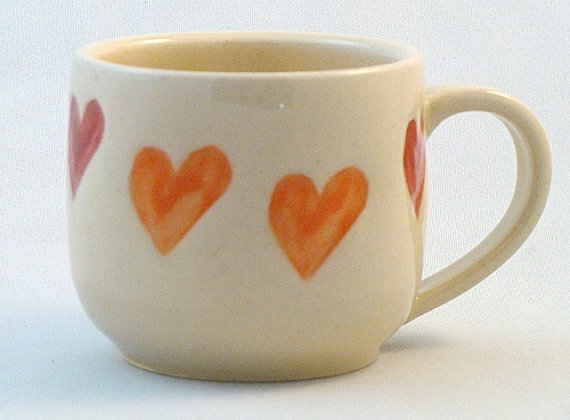 YOU WARM MY HEART – a Bread & Butter pottery heart mug says this perfectly. Extra special bonus? Add some hot chocolate & a small bottle of Kahlua with a gift certificate for breakfast in bed and your got yourself a winning gift. I WANNA HOLD YOUR HAND – Oh those Beatles made romance sound so simple. You want to hold her hand, but dude, at least let her wear some super warm and extra cute mittens because we are in Canada after all. 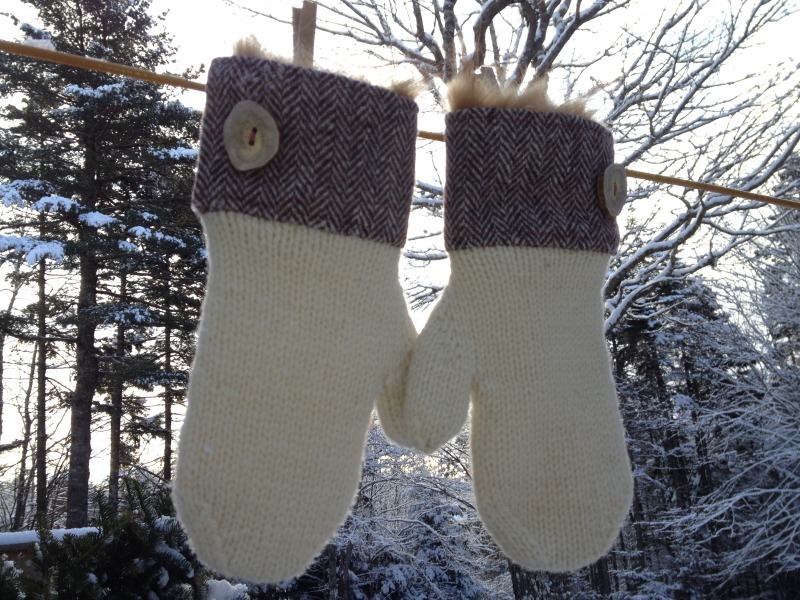 Fiona Alice mittens are hand knit, lined for double warmth, and then gussied up with upcycled fox fur, wool herringbone, and wooden buttons. Extra special bonus? Slip an invitation for a skate date inside. YOU GOT THE WRITE STUFF – Ah the power of the written word. A handbound leather journal is a thoughtful romantic gift for your writing/recording/journalling sweetheart. Extra special bonus? Inscribe the first page with a quote or personal note. Jewellery is always a winner. We have lots of unique pieces to meet all kinds of jewellery styles. Come in and let us help you choose the perfect piece. On top of all the fabulous gifts, every Valentine’s purchase will receive (while supplies last) these adorable handmade kraft paper stitched hearts filled with cinnamon hearts made by me! Thanks Aimee. The cinnamon heart packets were an adventure to make but turned out pretty cute.